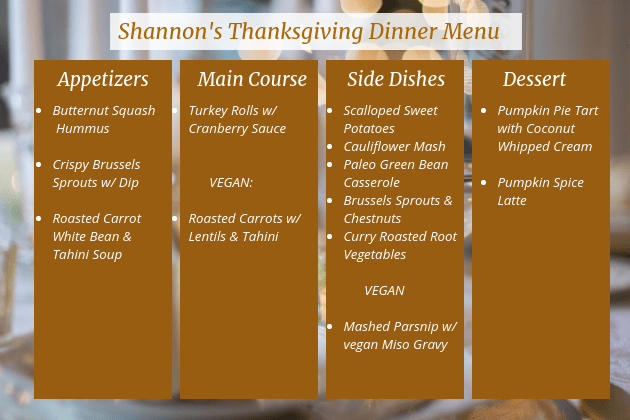 It’s never been easier to enjoy a stress-free holiday with family & friends thanks to my delicious thyroid-safe Thanksgiving dinner menu recipes! 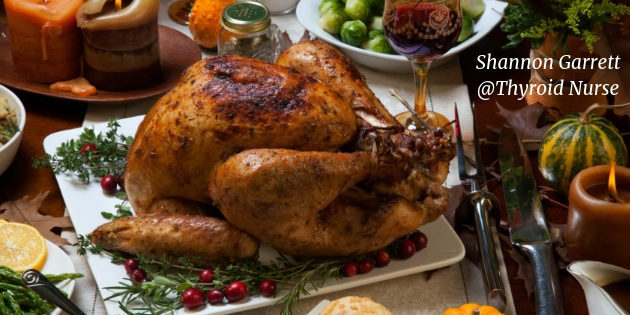 It’s the time of year to give thanks for all that we’re blessed with but holiday dinner gatherings can sometimes trigger stress, fear, and anxiety for those of us with Hashimoto’s hypothyroidism simply trying to figure out what is or isn’t safe to eat! If you’re preparing the meal yourself this year, I’ve got you covered with some incredible recipes that will get you out of the kitchen (or hot-flash zone) quickly so you can relax and enjoy your company. If you’re going to be a guest in someone’s home, by all means, please share a few of my recipes with them (or take your own plate…trust, me I’ve done it many times and without the guilt) to see if they can work a couple options in for you. I guarantee that even those who do consume gluten will never know the difference. Holiday entertaining usually calls for a few pre-dinner bites aka hors-d’oeuvres, amuse-bouche, or appetizers, depending on what you call them. As people tend to gather in the kitchen, I like to have a few tidbits around for them to enjoy. It’s also somewhat of an intentional distraction in that they’re not staring at every move you make while prepping, cooking, and paying attention to the fine details. They’re simply enjoying food and conversation. So a few options I think you and your guests will love are Butternut Squash Hummus, Crispy Brussels Sprouts with Spicy Dip or Roasted Carrot White Bean & Tahini Soup served in demitasse cups. For the main dish, consider Turkey Rolls with Cranberry Sauce especially if you’d like to serve a more elaborate main dish than a traditional roasted turkey. PS: It’s a lot easier than doing a roasted turkey, may be prepared a couple days in advance and your guests will think you worked all day! Next, you’ll want to think about sides. Instead of the traditional sweet potato casserole (sorry mom and grandma! ), Scalloped Sweet Potatoes are simply irresistible without the downside of processed SUGAR. Of course, you could also offer Cauliflower Mash for a mashed potato vibe, except it’s by far better tasting and healthier too. I’m from the south and it’s not Thanksgiving unless there’s a Green Bean Casserole on the table. This recipe is an updated version of an old favorite and is a tasty alternative. Seriously, you won’t believe how good it is until you try it. You could also add Brussels Sprouts & Chestnuts or Curry Roasted Root Veggies for variety, depending on how many options you would like to offer. And speaking of sides that are a must-have, we can’t forget about stuffing or dressing (it’s called both, depending on where you’re from. I call it dressing). Although gluten-free wild rice or Pilaf are definitely options to consider, I personally think they’re boring for a holiday dinner. Personally, I think water at room temperature with lemon is best for digestion when consuming food and it doesn’t conflict with the aroma or flavors of the meal. Nothing ruins a delicious meal more than carbonated sugary drinks so please don’t do that. In addition, you don’t have to run around trying to figure out what everyone wants. We all drink water so it’s a no-brainer. If you happen to enjoy wine, I personally use and recommend Dry Farm Wines. For a long time and until recently, I gave up my occasional glass of red wine. I started noticing that as soon as I would take a sip or two I would get a headache or feel unwell, and I would feel hung-over the next morning. Long story short, I attended a medical conference and learned about the dark side of the wine industry in the US and felt appalled about what really goes on. I’ll save those details for another post; my point is that I learned about Dry Farm Wines natural organic wines which are produced in small quantities and now I can enjoy red wine again WITHOUT a headache, hangover, or other negative effects. This is how wine was intended; unlike how the US distorts the production of wine and has raised the alcohol content, Dry Farm Wines have a lower dosage of alcohol which allows you to still experience the pleasure of wine without the negative remnants. There are NO added sulfites and no added sugar or heavy additives. You’ll notice that you’re not dehydrated or hungover, and you won’t experience brain fog. You’ll experience better sleep and the confidence you’re enjoying something wonderfully produced by nature and free of heavy metal toxins. End the meal with Pumpkin Pie Tarts with Coconut Whipped Cream or a Pumpkin Spice Latte (or both). I wanted to let you know you how truly grateful I am for you! 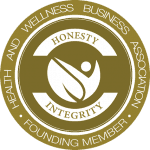 I am honored and blessed to have the opportunity to serve my clients, readers, and followers and to empower, inspire, and provide education as a trusted resource (voted one of the Top 40 Thyroid Blogs on the web) for Hashimoto’s hypothyroidism, autoimmune disease, and women’s health issues.